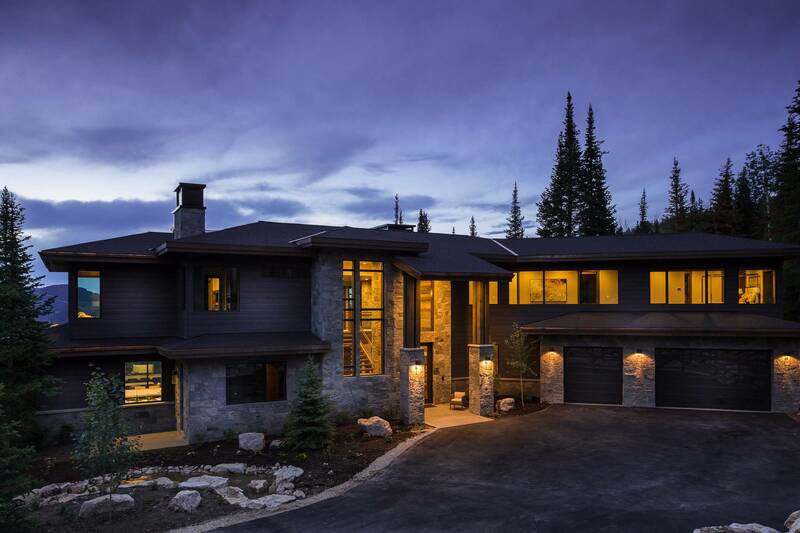 The best of Park City living combine at White Pine Canyon IV: skiing, breathtaking views and room to relish relaxing getaways with family and friends. Tucked into the side of the mountain, this tri-level home offers amazing down-valley views from its site on a ski run in the Colony at Canyons Ski Resort. Its 9,000 square feet include 6 bedrooms and 8 bathrooms allowing for ample guest space while accommodating a young and growing family. Jaffa’s use of barn wood, stone and steel give the design a modern sophistication with an edge that nods to timeless craftsmanship. It’s an ideal home for energetic, outdoorsy days and serene evenings gathered around with loved ones simply enjoying each other’s company.